2 Beds 2 Baths 1,180 Sq. ft.
Butchers Hill townhome with 3 Years CHAP Tax Credits remaining. Taxes are only $230 per year. 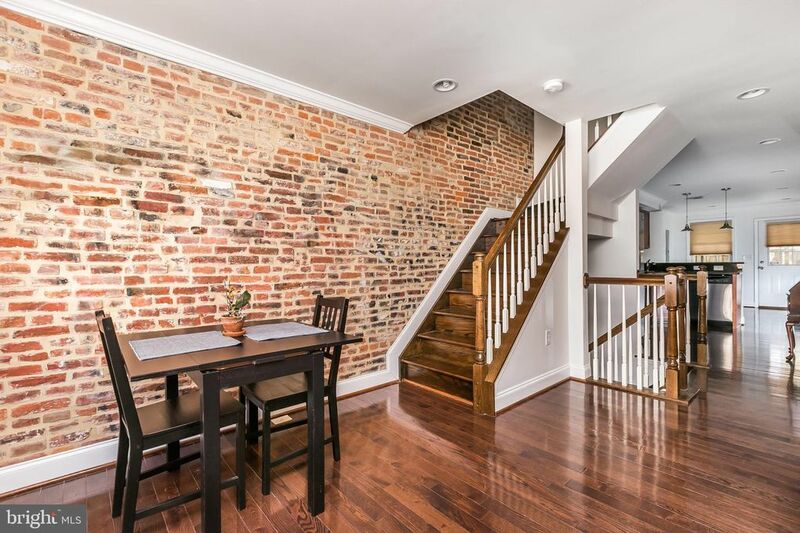 Top to bottom renovation of this custom, turn-key, three level townhouse on a quiet alley street steps to Hopkins Medical Campus, La Barrita and Patterson Park. The main level has a flexible open floorplan with a gourmet kitchen with granite counters and breakfast bar. The second floor has two nice sized bedrooms, one full bath and deck. The lower level has a possible third bedroom, office or playroom with full bath and laundry. Covered rear patio. Approximately 1180 Sq Ft. Eligible for Hopkins LNYW Grant $5000.